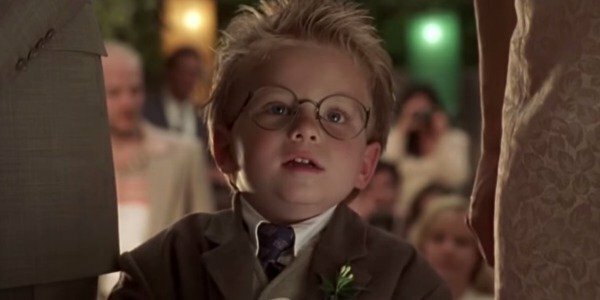 Jonathan Lipnicki made the world say, “Awwww,” in unison with his supporting performance in 1996’s Jerry Maguire. Seriously, the kid was so fricking cute he could have stopped wars and stuff. But Jerry Maguire was released 19-years-ago, and Lipnicki is a tad furious that he’s still primarily associated with that film. In fact, he’s so angry he’s created a hilarious video that involves him shouting at Tom Cruise. It’s well worth a watch. Thanks to Screen Junkies for the creation of the above video, and for Lipnicki for providing such a superlative take on himself. It was probably his most convincing performance since Stuart Little 2. There are a few things that we’ve learned thanks to the above video. Firstly, Jonathan Lipnicki deserves mad props for honing such a bodacious body. While it also looks as thought the 24-year-old Californian native is rather splendid at Brazillian Jiu Jitsu now too. Fair play to him. Unfortunately for Lipnicki, however, Hollywood’s myriad of casting agents, directors, and producers still only see him as the adorable son to Renee Zellweger’s Dorothy Boyd from Cameron Crowe’s 1996 mega hit. And who can blame them? I mean his Ray Boyd was so adorably precocious that he was the deciding factor in Jerry Maguire’s decision to hastily marry Dorothy. The other problem is, as Lipnicki points out, Jerry Maguire never really comes across as that great of a father figure in the film. His impetuousness leads to him being sacked from his chosen profession, while his first meeting with Ray sees him drunk and going on a rambling diatribe. In fact, in this conversation, Jerry Maguire even drops a few unnecessary f-bombs that Lipnicki’s Ray then has to scold him for. Not cool, Jerry, not cool. Unfortunately for Lipnicki, his career has stalled over the ensuing years. There have been a few guest-spots on television shows, and the annual movie role, but nothing that comes close to reaching the mid '90s to early '00s heights that saw him consecutively star in Jerry Maguire, Doctor Doolittle, Stuart Little, The Little Vampire, Like Mike, and Stuart Little 2. Maybe this video will put him back on the map. If not, at least he’s got comptetitive jiu jitsu.